Made by J. Rabone & Sons in Birmingham, England, in the first few years of the 20th century, this one has accumulated a nice ‘gently worn’ appearance. 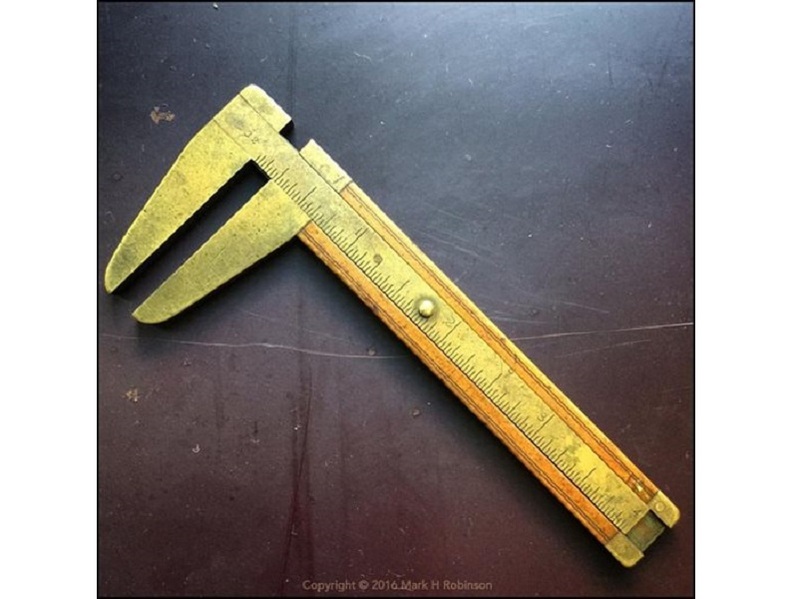 The boxwood has mellowed to a deep amber, the wooden edges are slightly rounded, and the brass itself has acquired a very pleasing softer patina – all signs of many productive hours spent in hands and pockets (including, lately, mine!). However, all details remain crisp and legible, the caliper slide moves firmly in its retaining grove, and the jaws are still parallel and clean – it is still fully usable for its intended purpose. 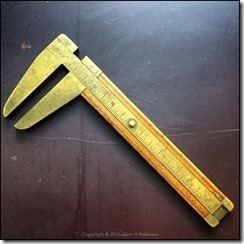 And, just for fun, here’s a mystery hand tool challenge… Bragging rights are available to the first person who can tell me what the original purpose of these calipers was!